Abu Umamah reported that the Prophet, Peace and Blessings of Allah be upon him, said: "Recite the Qur'an for indeed it will come on the Day of Judgement as an intercessor for its Ashab (those who read, memorize and implement it)." This hadith indicates the virtues of reciting the Qur'an, the greatness of its reward and that it will intercede for its holders on the Day of Judgment towards their entrance into Paradise. An-Nawwas Ibn Sama'an reported: "I heard the Messenger of Allah, Peace and Blessings of Allah be upon him, say: 'The Qur'an will be brought on the Day of Judgment as well as the people who used to act upon it. Surat-ul-Baqarah and Aali 'Imran will then approach them.' The Messenger of Allah, Peace and Blessings of Allah be upon him, likened them to three examples, which I have not forgotten afterwards. He, Peace and Blessings of Allah be upon him, said: 'As if they were two clouds or two dark black canopies with light between them both or like two flocks of birds stretching their wings in the air pleading for the one who recited them.'" 'Abdullah Ibn 'Amr reported that the Messenger of Allah, Peace and Blessings of Allah be upon him, said: "The fast and the Qur'an will intercede for the servant on the Day of Judgement. The fast will say: 'My Lord, I restricted him from food and drink, so allow me to intercede for him.' And the Qur'an will say: 'I prevented him from sleeping at night, so allow me to intercede for him.' 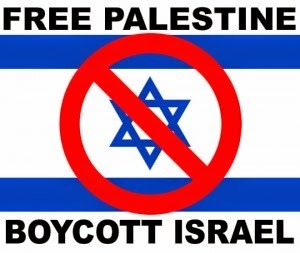 So they will be allowed to intercede." Therefore, it is essential for the person fasting to recite the Qur'an much during these blessed days and honorable nights. For indeed, there is a special virtue for the abundance of recitation in these days, which is not found in any other month. He should take advantage of the nobleness of time during this month, in which Allah revealed the Qur'an. 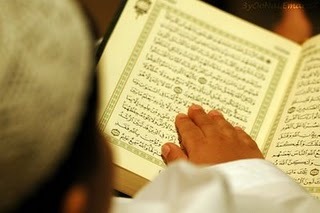 There is a special merit to reciting the Qur'an in the nights of Ramadan. For indeed, the night brings an end to the busy daily affairs, the enthusiasm is roused and the heart and the tongue mount upon reflecting. And Allah is the one in whom we seek assistance. It is reported that Gabriel used to meet with the Prophet, Peace and Blessings of Allah be upon him, during each night of Ramadan and they would study the Qur'an together. So if making dhikr (remembrance of Allah) were better than the Qur'an or equal to it (on these nights), they would have done that all the time or at certain times along with constantly gathering for that occasion. Thus, this hadith illustrates the precedence of studying the Qur'an during Ramadan and gathering together for that occasion as well as turning towards one who is more prominent in the memorization of it. The predecessors of this Ummah would recite the Qur'an constantly during Ramadan. And when they would fast, they would sit in the masajid and say: "We will guard our fast and not back bite anyone." They would recite the Qur'an in their prayer and out of it. 'Uthman would complete the recitation of the (whole) Qur'an once a day. And some of the Salaf (our pious predecessors) would complete it during their qiyam (night prayers) in Ramadan every three nights. Some of them would do it every seven days and some every ten days. 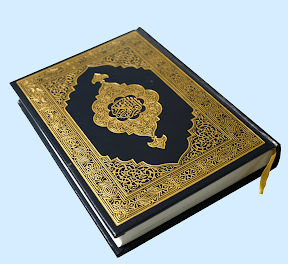 Ash-Shafi'ee would complete the Qur'an sixty times during Ramadan, while reciting it outside of prayer. Al-Aswad would recite the whole Qur'an every two nights of Ramadan. Qatadah would always compete the Qur'an every seven days. He would do it every three days in Ramadan, and during the last ten days, he would do it every night. Their reports concerning that are famous. Al-Hafidh Ibn Rajab, May Allah have mercy upon him, said: "The forbiddance of reciting the Qur'an in less than three days (as stated in a hadith) has only been mentioned in regards to its being done on a normal basis. As for the specific times that are virtuous, such as the month of Ramadan and especially the nights in which the night of Al-Qadr is sought. Or those places that are virtuous, such as Makkah for the one who enters it without residing there, then it is recommended to recite the Qur'an a lot in these times and places, seeking the merits connected with their time and place. This is the opinion of Ahmad, Abu Ishaq and other scholars. And the actions of others indicate that as has been stated previously." "A Book, which We have revealed to you in order that its verses may be pondered upon, so that the people of understanding may be reminded." Also, from the etiquettes of the recitation is that one does not stop his reciting in order to speak to someone else. Indeed, when many people sit to recite the Qur'an, and there are people sitting next to them, a majority of the time, they stop their recitation and speak to their neighbors. This is not proper since it is turning away from the recitation without a valid reason. And it is on the one who recites, to act upon the Qur'an, making permissible its Halal (what is lawful) and forbidding its Haram (what is unlawful), so that the Qur'an can be a proof for him on the Day of Judgement and intercede for him in entering the gardens of bliss. உங்களுக்கும் உங்கள் குடும்பத்தினருக்கும் நெஞ்சம் நிறைந்த ஈத் முபாரக்!! "The world talks about worldly talks as far as they could do. However, it is Imam Mahdi who knows the secrets of Lail-tul-qadr (the night of honor). And without unraveling Lail-tul-qadr, why and how will the Koran be demystified? [Holy Sanandh 20:50]"
(Author’s Note: Keep in mind that Lail-tul-qadr or the night of honor is not exactly an Earthly night. Actually, it is the time period that started right from the advent of Ruh Allah and continued till the completion of the revelation of the words of Marifaat by Imam Mahdi himself and continued on for some more years. And the time period which is Lail-tul-qadr is 120 years. Really good work, Many peoples learn many thing from you article. please continue this. Interesting, wonderful I haven't words for this May Allah give you grant for this please don't stop this always keep it up.